Jeffrey Musumano-Trophy Trout Club- “Many thanks to Brian Harding and Harding Trout Hatchery for their excellent service and magnificent trout. The Trophy Trout Club has been assisting the town of Riverton with their historic Opening Day fishing derby for the past 10 years. 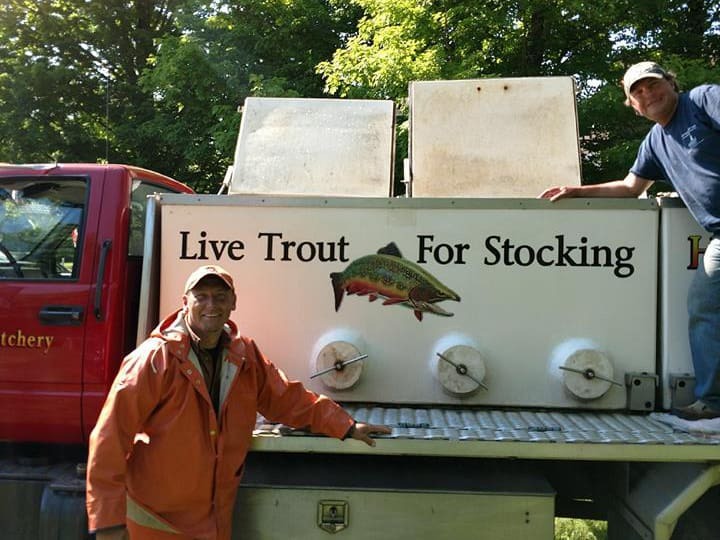 It is one of the best derby’s in the state and the trout we purchase from Brian are a big part of it. It has become tradition that when we stock on the Friday before the derby we now have dozens of kids show up to assist us. To see their faces light up when they see these healthy and vibrant trout being pulled from the truck is amazing. Have something to share about your experience with Harding Trout Hatchery? Feel free to drop us a message and we would be happy to share that experience.